ALSO Taylor Made approved- if you’re following the health and nutrition plan he has given us! 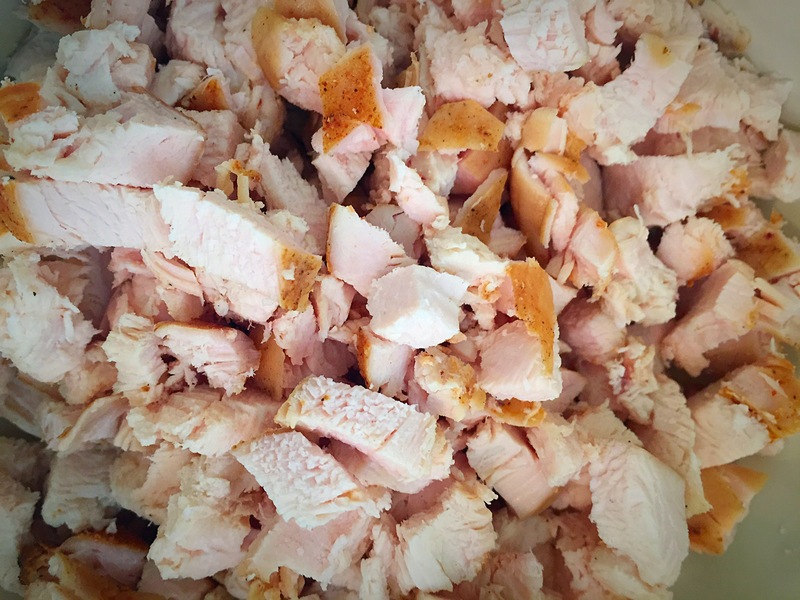 Anyhow, part of our nutrition plan means we don’t get to eat some of the things we normally would, and we eat more protein now- it helps burn fat and build muscle. 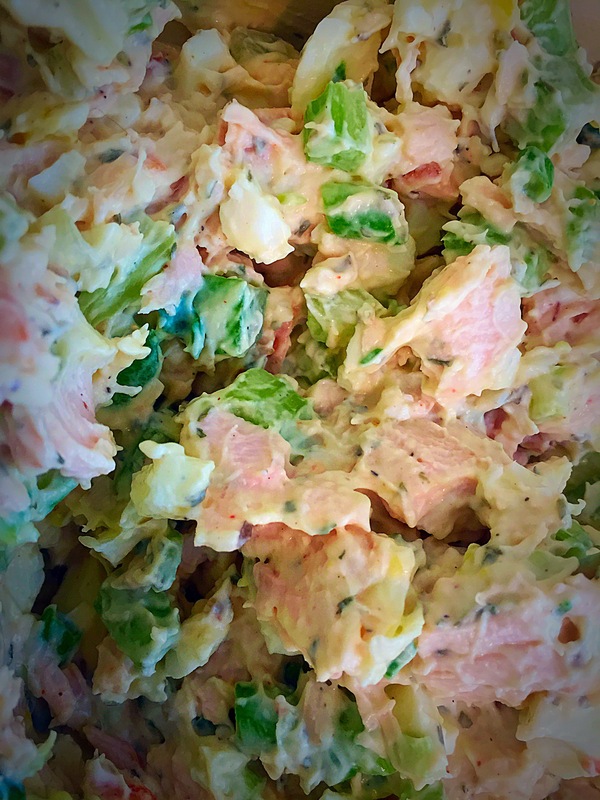 So once again, I have decided to alter one of my favorite summer time recipes so that we can still have it, but also still be “allowed” to eat it based on our nutrition plan! So first- Will is AMAZING at using his green egg grill! It’s basically like a smoker and grill in one… I believe that’s the best way to describe it! However- I swear it makes the best grilled chicken ever! 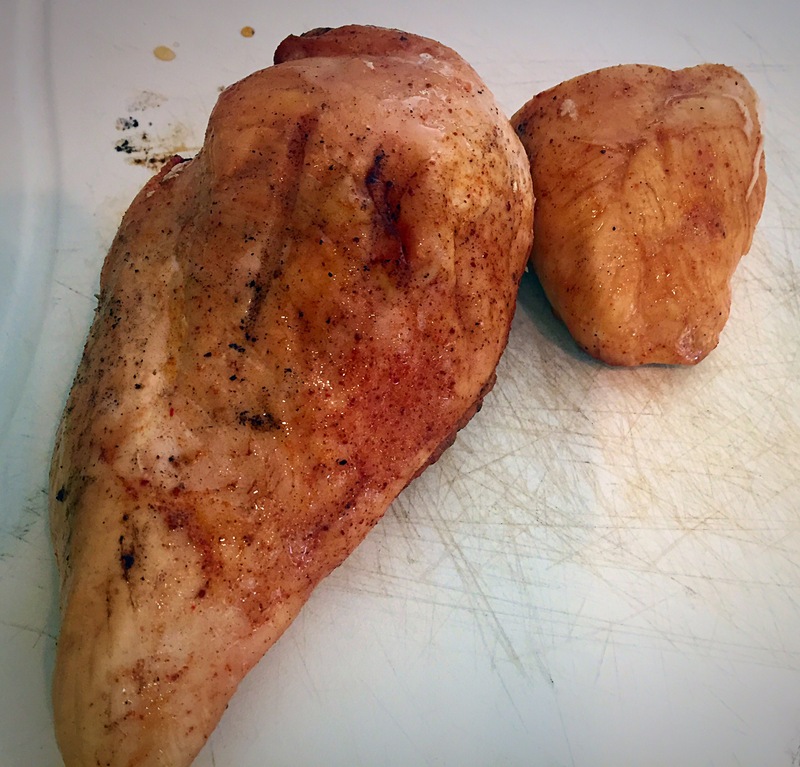 So, to prep for the week, he grilled up a bunch of boneless, skinless, chicken breasts that we can use for practically anything! Salads, dinner, anddddd chicken salad, of course! 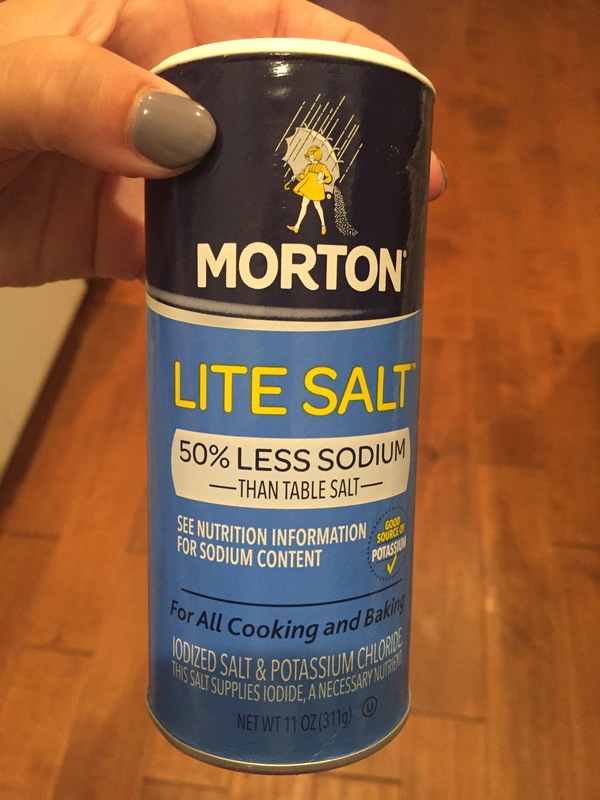 These are both ingredients that you can use if you’re doing the Taylor Made diet, or even if you’re trying to watch your sodium intake. 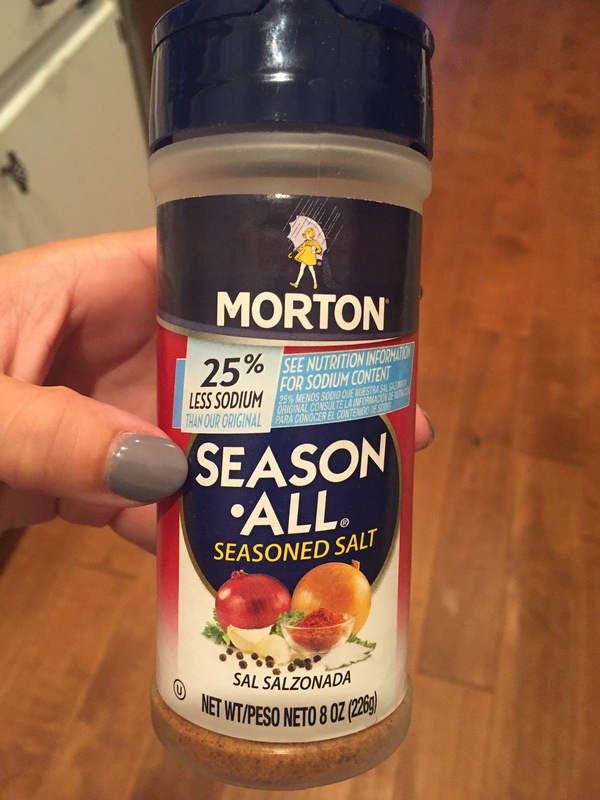 Otherwise, if you aren’t, feel free to use the same amount of regular salt, and seasoned salt in its place! I also like to boil my eggs ahead of time, that way they are easier to boil, and I can always boil a few extra for us to have for breakfast in the morning. A hard boiled egg will last 5-7 days in the refrigerator! Plus, as a bonus- they are easier to peel when they are cooled! As for the rest of the ingredients, I start chopping! I add all of them to one bowl as I chop, starting with the chicken, and ending with the seasonings and mayonnaise. Also- with the Taylor Made diet, we use Light Mayo. Feel free to use whatever you like in its place! I also use store brand mayo myself. You add so much to it, that really you don’t notice a difference in flavor! Again, if you have a preference- use your favorite! Now it’s time to mix! Mix until combined! 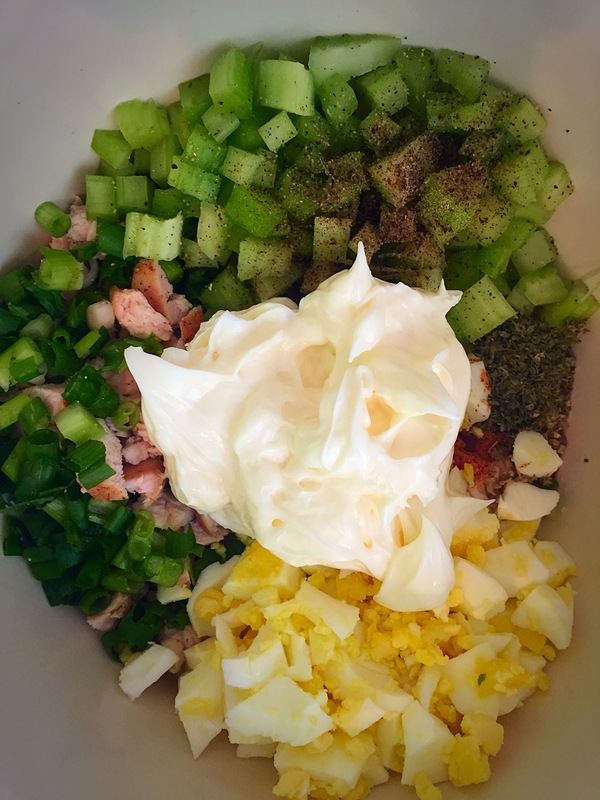 Once your chicken salad is mixed, it’s ready! I like to put mine in the refrigerator to cool off and set up for about an hour. The flavors seem to meld together better when it has time to cool. 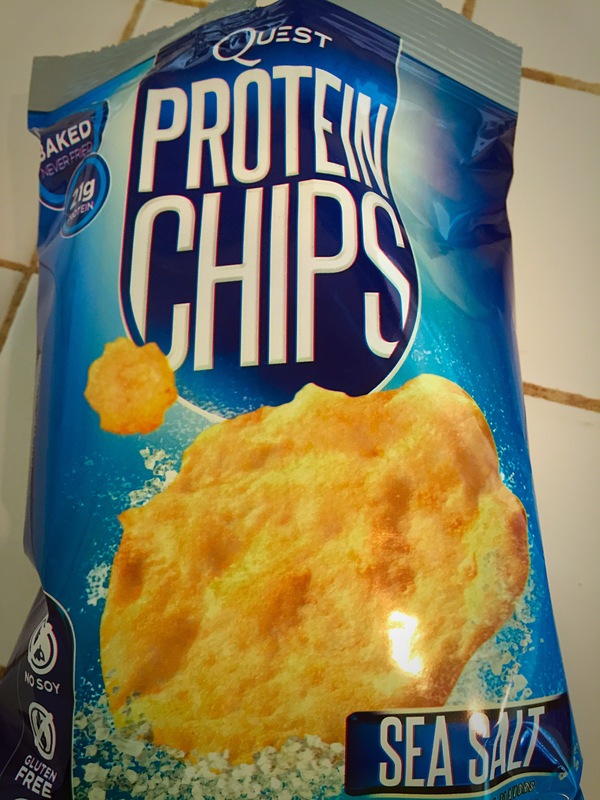 For a little extra protein boost, since our diet is high in protein, we eat our sandwiches with Quest Protein Chips. You have to order them online. 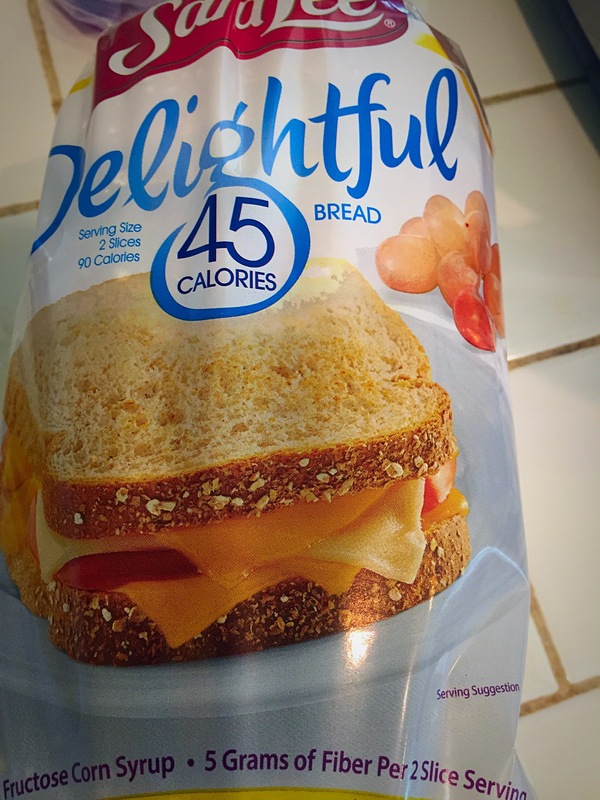 One bag offers 21 grams of protein! Heads up- they aren’t all that bad and are are baked not fried, but they are drier than a regular potato chip. I don’t notice it as much if I eat a bag by itself, but they do taste a little drier if you’re eating them as part of a meal. We’ve tried the Barbeque, sea salt, and sour cream and onion versions. 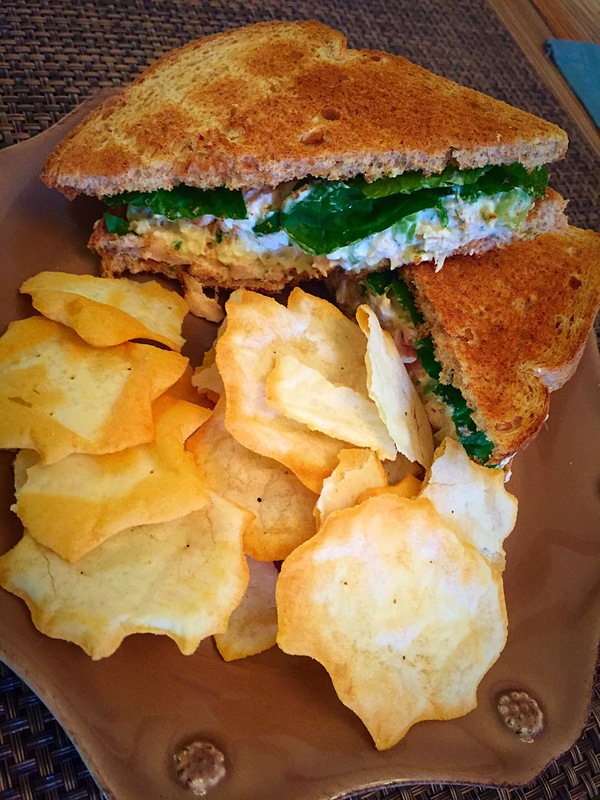 Last, but not least- I do like to add a little spinach to my chicken salad sandwich! Oui-la!! A whole protein-rich meal! The recipes look good, even though I’m a vegetarian. Cathy and I enjoy reading the posts and were happy spending time with you two at the beach. We have something to send to you just as soon as we get it packed up and mailed.